Did you know that Falvey has a collection called Popular Reading located near the Circulation Desk? Works by well-known authors such as Mary Higgins Clark, Michael Connelly or James Patterson are here. Have you read the latest Harry Potter? Take a chance on a first novel such as the delightful Major Pettigrew’s last stand. We have graphic novels and even a graphic biography of Trotsky. How about biographies of people in sports, politics or history such as Team of rivals: the political genius of Abraham Lincoln by the renowned historian, Doris Kearns Goodwin. 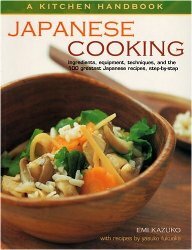 Or maybe this is the time to try out a new recipe such as you might find in Japanese cooking by Emi Kazuko. Our Popular Reading collection can provide you not only with familiar authors but also open up new reading adventures.